There are two plots at opposite ends of the vineyard that contribute to the making of this complete Folatières. The nose is dense, opaque and backward, but the palate is stylish, pure and concentrated with some white peach notes. This needs time in the cellar, but could become a really great Puligny-Montrachet. Sauzet is such a quiet and understated domaine, but they have been making brilliant wines for some time now, abetted by a seemingly seamless transition from Gérard Boudot to the next generation, daughter Emilie and son-in-law Benoit Riffault. The domaine is now farmed entirely organically with some biodynamic methods being used. They began picking on 17th September, finishing before the rains of Friday 24th – even so some sorting was necessary. The difficult flowering, especially higher on the slope, has led to very small yields giving exceptionally concentrated wines. 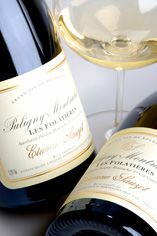 The Wine Advocate - The 2010 Puligny-Montrachet Les Folatieres is deep, rich and expansive. It possesses gorgeous depth in its fruit in a style that is at once relatively open and supple for the year, but with a dimension of freshness that comes from the floral notes that are woven throughout. The finish turns a bit more compact as the wines structural elements take on a more prominent role. Anticipated maturity: 2014+. 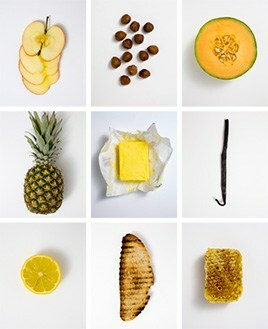 Juicy fruit, underscored with fresh acidity. Battens down to an austere, stony finish.